Today is going to be the last day for Jemima working as a UK space engineer. Once she’s finished this final job on adult satellite hugemongouswowwows.com , she’s taking the engineering-pod back to ‘Command & Control’ for her leaving party. It’s going to be glorious. She’s going to make a funny yet poignant speech. People will cry and tell her that they’re going to miss her. She’ll be showered with gifts and then she’s going to Exeter with her boyfriend to start a new life! She’s forgotten ... See More to put any of this in her protocol diary, but that won’t matter; will it? 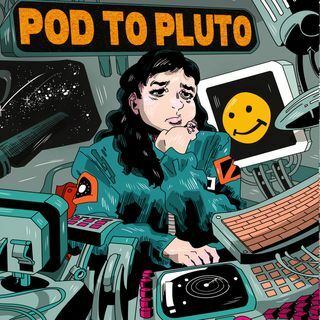 Welcome to our new #scifi #comedy #audiodrama ‘Pod To Pluto’ and say hello to ‘Jemima Belafonte’ and her ‘Pod’ computer. As they try and keep each other company during their 4.67 billion mile trip to Pluto!